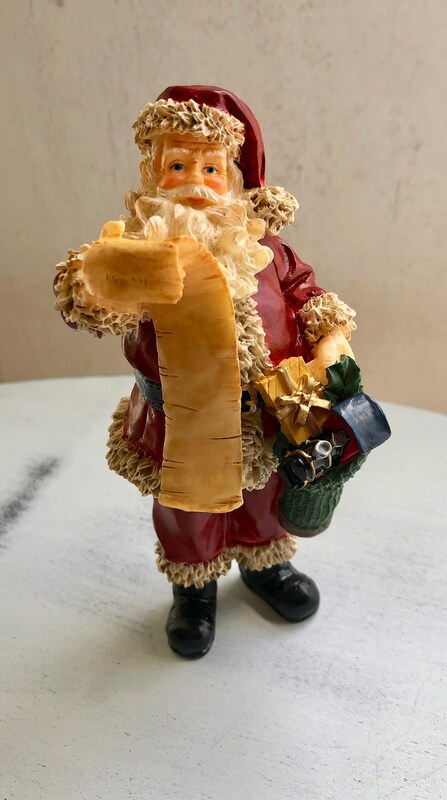 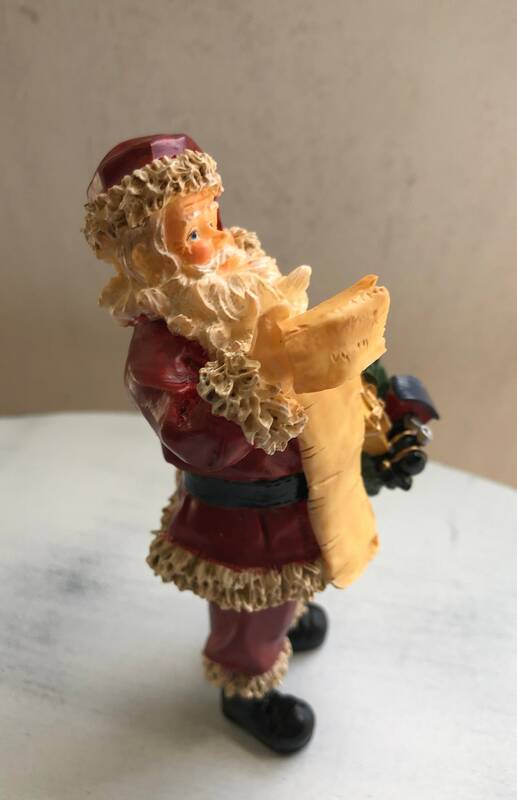 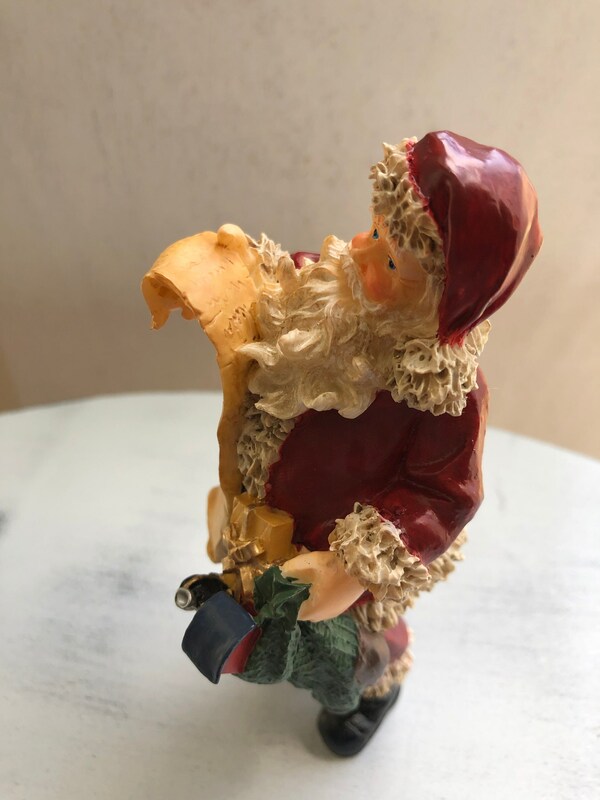 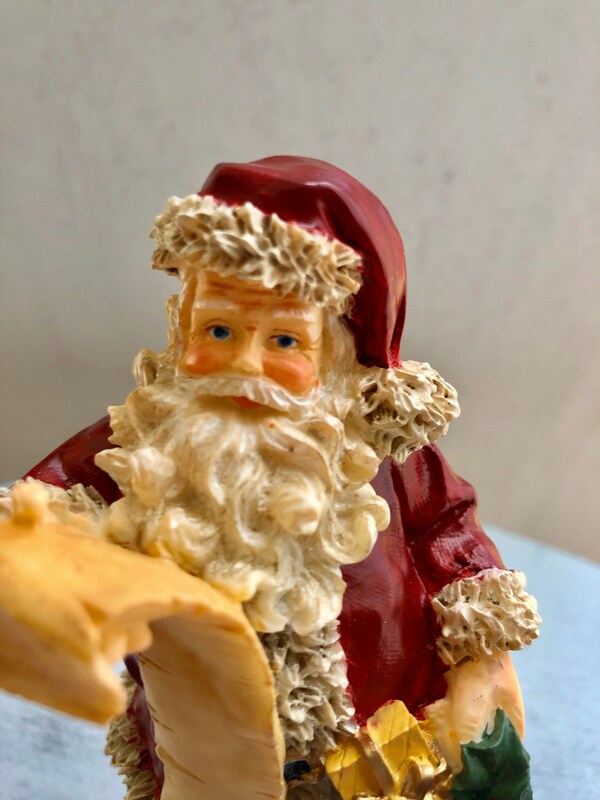 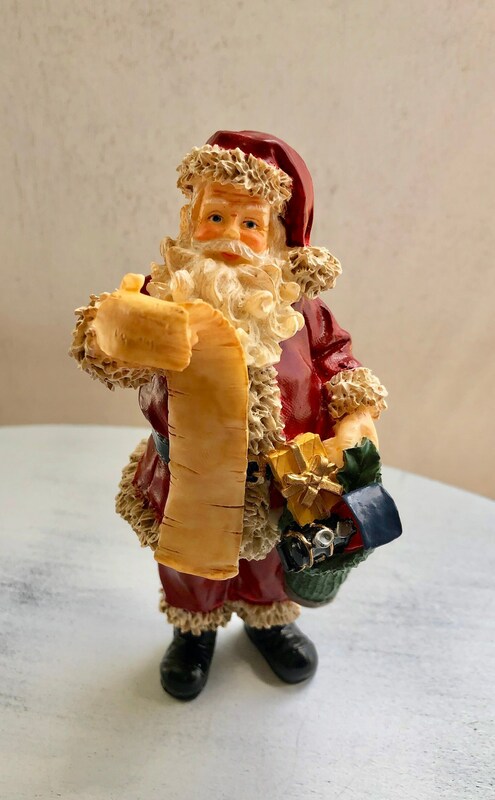 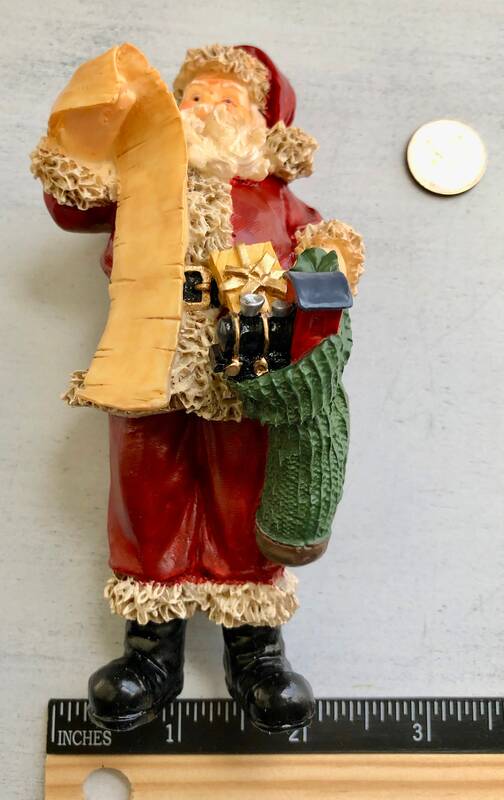 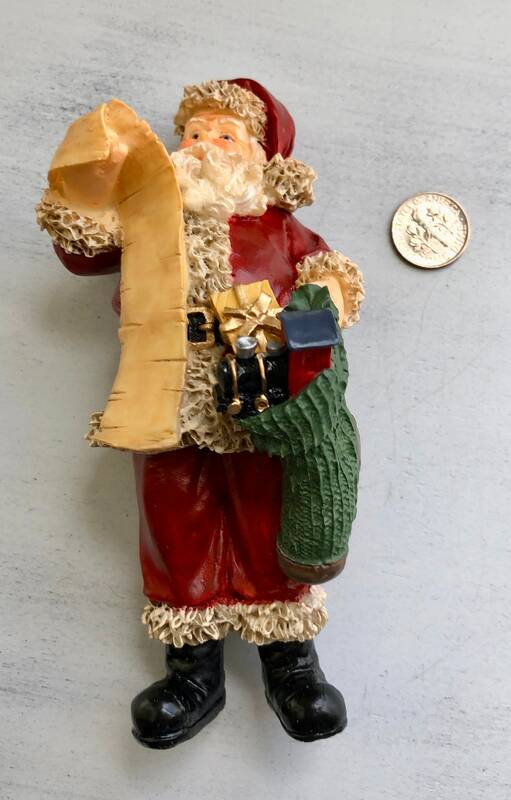 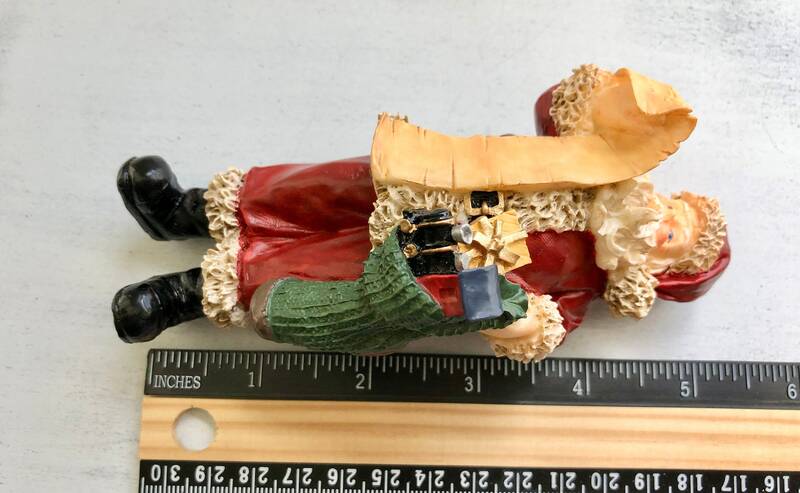 Sweet, happy, standing Santa Claus figurine with list and toys. 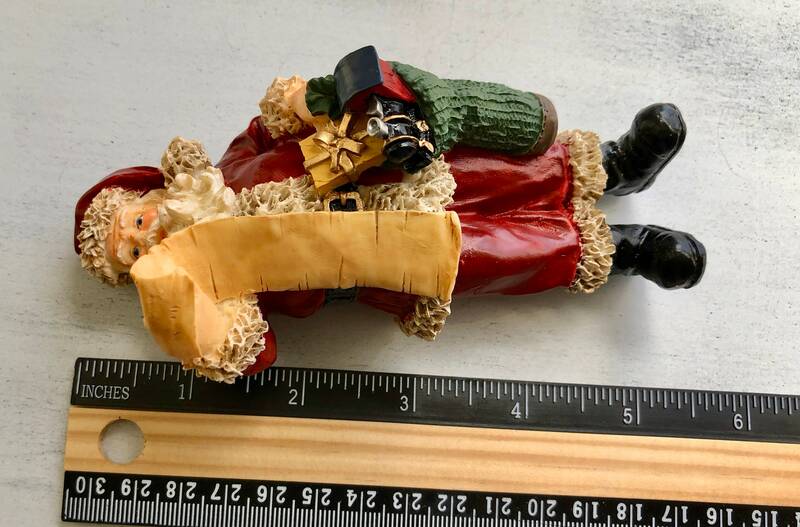 Perfect for dollhouse nursery, shadow box, diorama, craft projects. 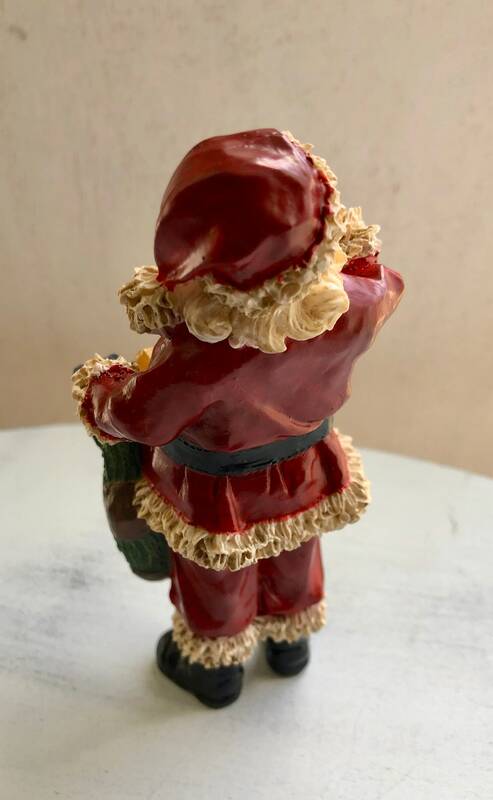 Makes a great cake topper shower gift.